Your book is ready to read; you’ve got a stellar cover, it’s been thoroughly edited, and its sitting on the shelves of bookshops just dying to be bought. You might think you’ve done everything possible, and can sit back and let the sales roll in. However, with the massive rise in popularity of eReaders in recent years and, as a result authors are finding it increasingly worth the small investment to convert their book into an eBook format, as well as selling it in the more traditional print form. It’s staggering to think that Amazon sells well over 1,000,000 of its own Kindle eReaders every week and has done so since late 2011. And sales of other eReaders are following similar trends. eBooks are no longer a niche market; their appeal stretches from the very young, with interactive eBooks for children, to the very senior, as the books’ ability to scale font-size allows people to read books who might not be able to see standard print. A poorly displayed eBook is less likely to receive great reviews. Bad formatting and poor text layout will create barriers between your novel and its readers. 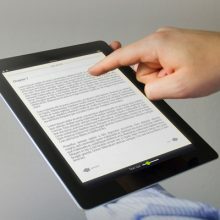 In extreme cases, if the eBook’s text is hard to follow on screen, readers will give up and cast the book electronically aside! Understandably, this bad reading experience will result in bad reviews. Would you recommend a book to a friend if the book were difficult to read? The majority of early sales are generated through word-of-mouth recommendations. But, no matter how gripping the story is, people are unlikely to recommend a book that’s difficult to decipher. eBooks come with many benefits for the author and reader. From the author’s perspective, having your book in eBook format allows you to make changes easily to the text to include any future updates you may wish to add. Doing this to a printed book is an expensive and time-consuming process for even the smallest of changes to future copies. Additionally, having the ability to buy eBooks at any time of day with instant delivery is very attractive to some readers. Removing the need for the packaging and delivery of the book also reduces costs for your readers. So, having eBook versions of your book could make buying it more appealing. Here at SpiffingCovers, we’re able to convert manuscripts from a wide range of formats, such as .doc, .odt and .pdf to fully verified and reflowable eBook file formats, which are comprehensively checked before we send them to you. Reflowable means that when the text reaches the end of a line, it will automatically wrap around to the next line, so it will be support text resizing. We’re able to provide you with both .mobi and .epub file versions of your manuscript, which have been optimised to appear perfectly on the screens of all major eReaders. Our eBook files also comply with International Digital Publishing Forums’ specifications. One thing that’s important to bear in mind when converting your book into an eBook is Digital Rights Management (DRM). This is a way of controlling whether or not your readers can ‘lend’ your eBook to others. It can seem like a tricky issue at times, but our friendly team will always be on hand to advise you on the best course of action to take for your illustrious new eBook.